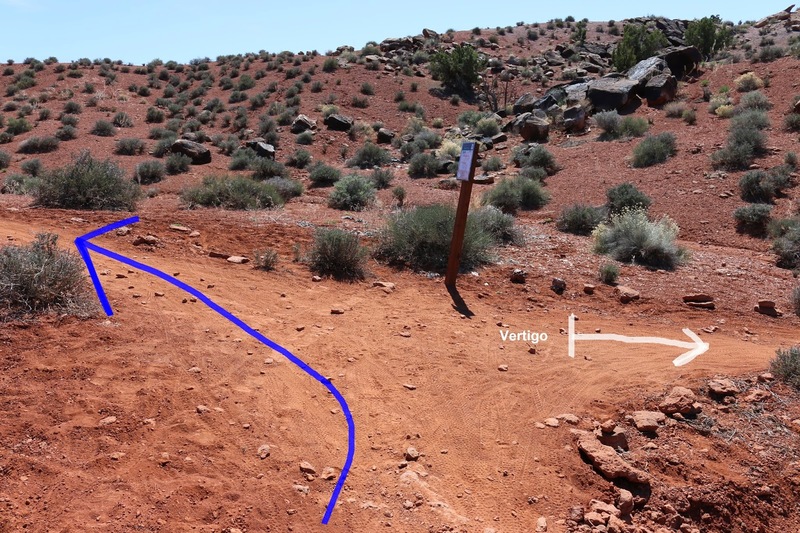 The Cross Canyon trail is located in the Klonzo Mountain Biking Area north of Moab, Utah. Beginning off of the Borderline trail at its lower end it extends for 1.3 miles up to the Wahoo trail. Enroute it is connected to by the Dunestone, Secret Passage (twice), Snippet and Vertigo trails. At one point it also kisses the Borderline trail once again. 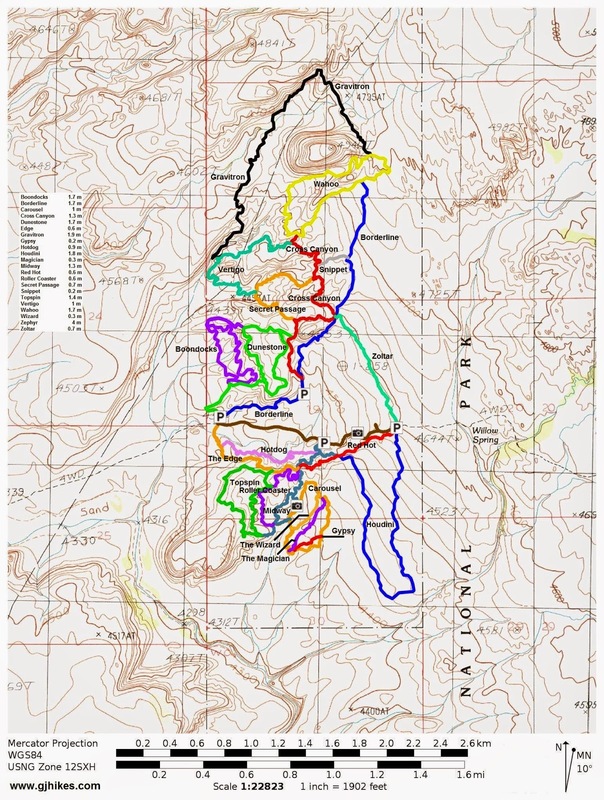 All of these connections make the Cross Canyon an important and well traveled trail in the North Klonzo Area. For this post we began at the top of the Cross Canyon trail and followed it downhill. The Cross Canyon trail is almost all dirt track. After only a few hundred feet the trail passes the point where the upper end of the Vertigo trail departs on the right. From there the trail follows the contour of the hillside above a wash that it eventually climbs in and out of. At the 0.32 mile point the Snippet trail, that runs between here and the Borderline trail, makes its connection. 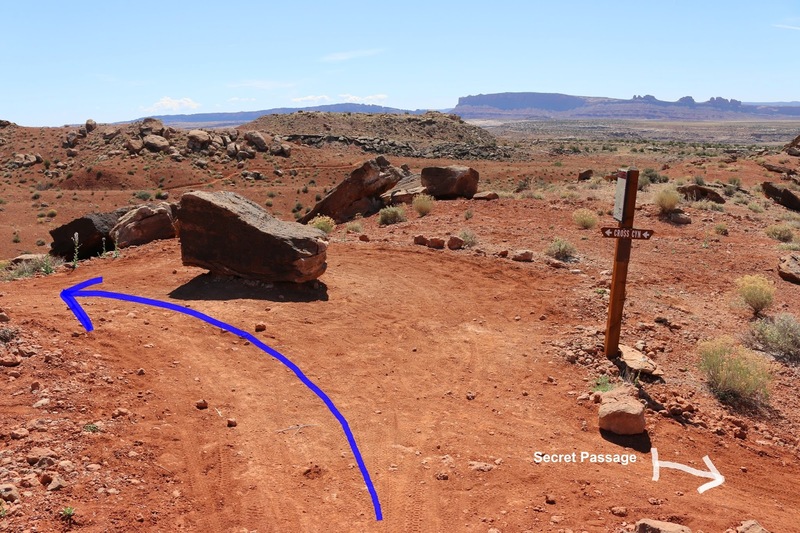 The first encounter with the Secret Passage trail comes up at the 0.4 mile point. While the Cross Canyon trail is mostly a downhill event going in this direction there are several gentle uphill grades. 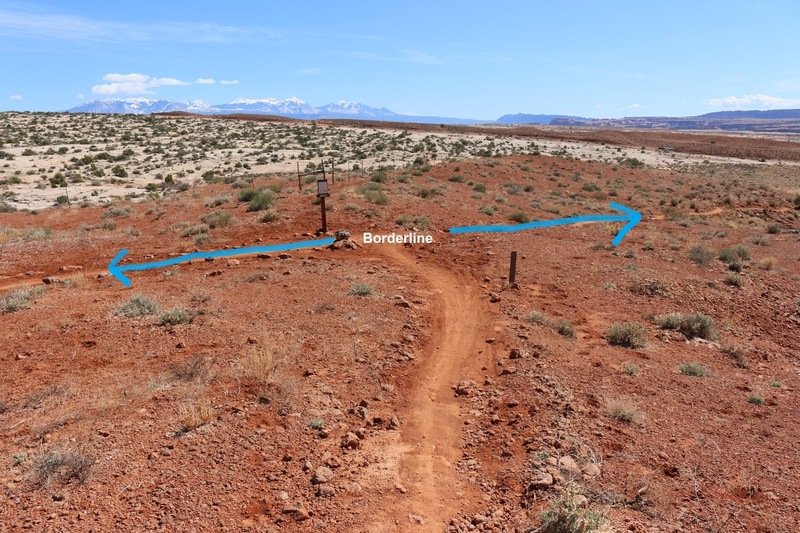 At the 0.75 mile point the Cross Canyon trail kisses up against the Borderline trail at the same point that the Zoltar trail begins. 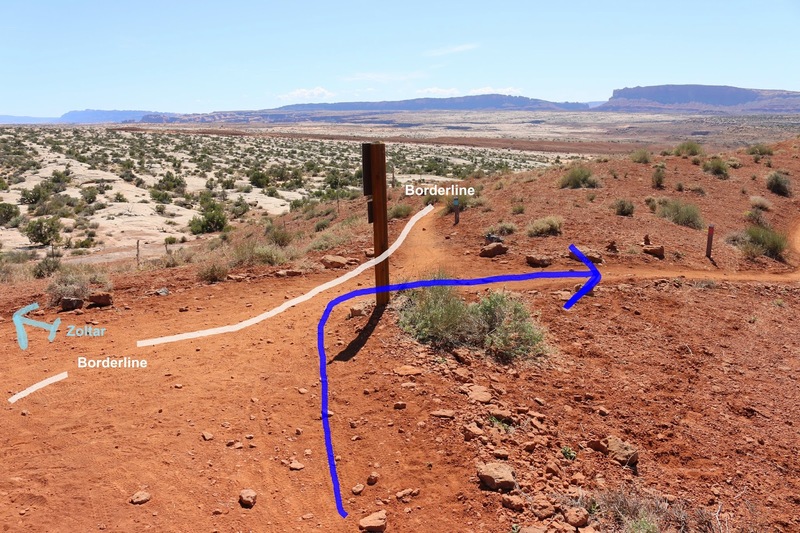 The Zoltar trail cuts across the large expanse of Navajo sandstone between here and the Willow Springs Road and comes out at the point where the upper ends of the Houdini and Red Hot trails begin. The next stage of the trail passes around a few small hills. 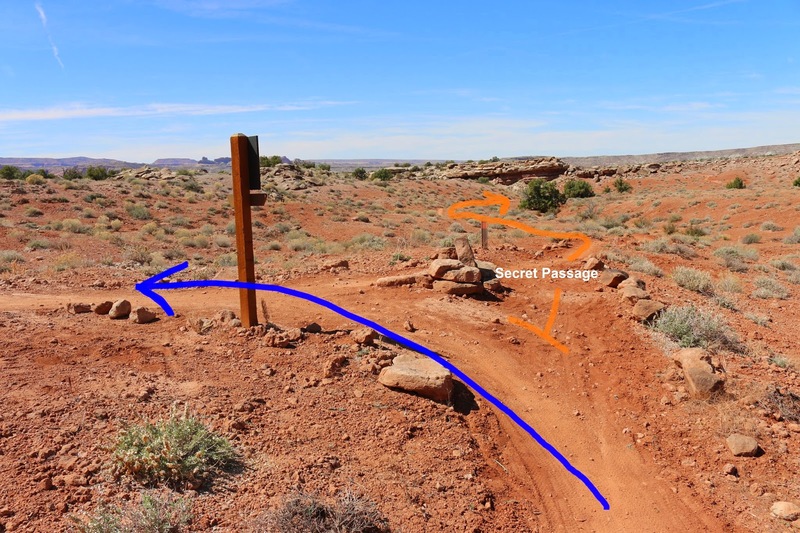 The second encounter with the Secret Passage trail comes up near the 1 mile point. 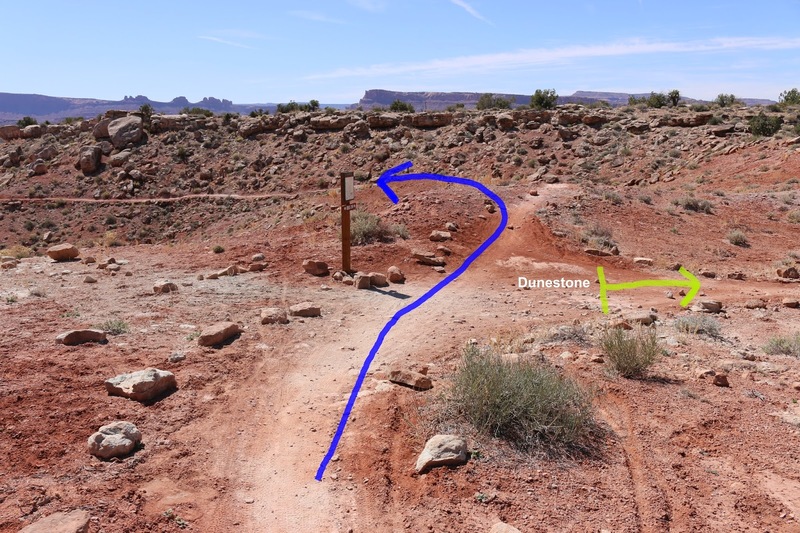 After about another tenth of a mile a short spur that runs over to the Dunestone trail makes its connection. And after a little more downhill the Cross Canyon trail rolls to an end at the Borderline trail a short distance from Parking Area B. From here we followed the Borderline trail to the left to get up to the Zoltar trail. At this point we had completed all of the rest of the trails in the North Klonzo Section and were ready to head to the south. With the exception of the Zephyr trail we were able to ride all of the Klonzo trails, in both the north and south sections, in 2 days. 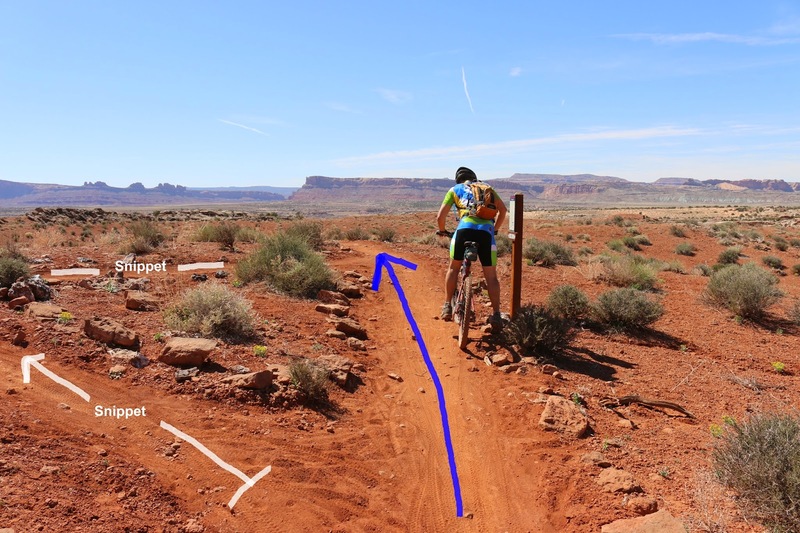 We rode the Zephyr trail, that connects the Moab Brands and Klonzo areas, on another day that began at the Moab Brands end of the tail. As far as the Cross Canyon trail goes, if you would like to see it for yourself then all you have to do is grab your bike or 'Take a hike'.